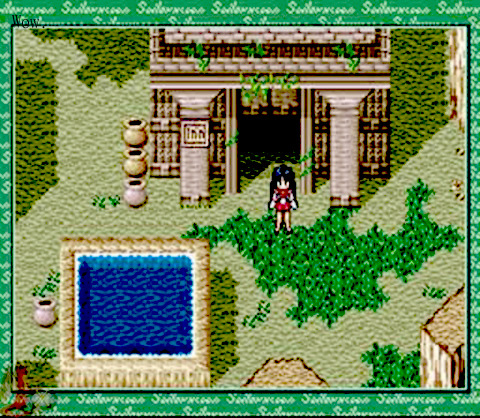 Sailor Moon - Another story is a traditional Japanese Role-playing Game (J-RPG), similar in style to the Final Fantasy series. 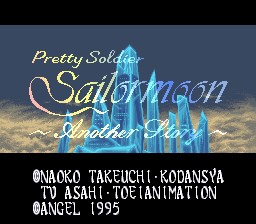 The story takes place during the Sailor Moon S saga and features a wide variety of Characters from the anime as well as many of their abilities. 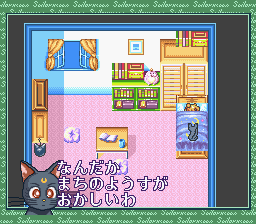 The game is fairly linear, railroading the player into the story, which isn't a bad thing as the story is rich if you can read Japanese or get yourself a decent English patch. 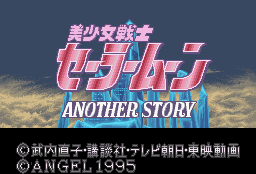 Bishoujo Senshi Sailormoon Another Story is a game based on the series classic of Sailor Moon in which your game is action adventure which you will have to overcome many enemies in your way and save the city of darkness. Now you can add videos, screenshots, or other images (cover scans, disc scans, etc.) for Bishoujo Senshi Sailormoon - Another Story (Japan) to Emuparadise. Do it now! If you haven't noticed yet, we have a retro game of the day feature (top-right of the screen) wherein we feature a new retro title every single day! Now, you can vote for your favorite games and allow them to have their moment of glory. 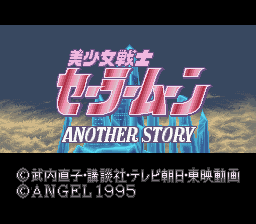 Click on the button below to nominate Bishoujo Senshi Sailormoon - Another Story (Japan) for Retro Game of the Day.